Recently opened, Nice Way Cascais is located in a totally renovated house in the heart of Cascais, less than 5 minutes walking to the Beach and to Cascais Night Life. The hostel offers private rooms (with different thematic) and shared accommodation, a fully-equipped kitchen and a cozy living room which opens into a beautiful garden with 2 different ambiances. 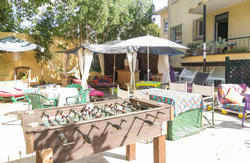 The hostel, close to a magnificent public garden, is warm and friendly, making you feel instantly local. You can cook in our kitchen or just relax in indoors or outdoors areas, with free fast Wi-Fi, cable TV, DVDs and books or step out to explore the large selection of restaurants, bars or cafes which surround you. 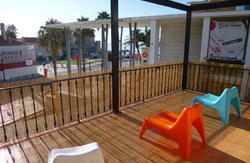 Our location, comfort and atmosphere will guarantee you great memories and a sunny experience in Cascais! The breakfast is included ! Just enjoy ! Take the train or the subway to Cais do Sodré train station in Lisbon. Check the info about the train. From Cais do Sodré train station you can take the train that goes to Cascais. Cascais is the last stop of this beautiful 40 minutes trip that will be even better if you seat on the left side of the train, near the window, so you can enjoy the river and the ocean. We are located around 10 minutes away (walking) from the train station. When you leave the train station you will see the McDonald's in front of you. Follow the pedestrian street on the left of McDonald's and go always straight. 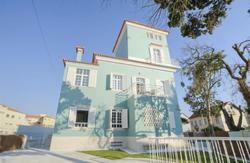 Across the road and you will be in Camões square the center of Cascais nightlife. Turn left and you will go to a square with the city hall on your right hand side, a big house with beautiful tiles. Follow the little street on the right hand side after this building, the one that goes up, until you see the main church. Rua Conde Ferreira is the 2nd street on your right. We are on the number 117. Welcome! Arriving to Cascais city center follow the main road with the ocean on your right. When you find the first round about go straight and turn to the right on the first street (Rua Vasco da Gama). Now turn to the right on the 2nd street and right again and you're on our door.